Are you tired of dealing with an inadequate, lazy, and hard to reach webmaster? Does your website look OLD and OUTDATED? Are you annoyed having to deal with one company to register your domain, another company to design your site, and another to host it? Are you frustrated with having to spend any time at all on your website and you just want someone that can handle it for you? Everything Done for You – You don’t have to know anything about websites or any of the confusing technical “lingo”. Just tell us what you want and we’ll do it. If you have a document – whether physical or digital, send it to us and we’ll scan it, convert it and load it to your site! Customized For You – Your business or organization is unique so we focus on customizing your website to be unique to make your web presence stand out from the competition. Full-Service – we take care of everything for you – design, hosting, updates, email, domain registration/renewals, etc. Full Site Tranfer and Set-up – We can take the contents of your existing site and transfer it to your new site without you having to hunt down your webmaster or get any secret “backend” password. Leads and Customers – Most web designers know nothing about how to build a site that attracts buying clients. They just build the site and leave it to you to figure out how to get buyers. SEO or Search Engine Optimization is not enough. We overhaul your site to be “Sales Optimized”. We optimize the content of your new website to attract buying customers and increase your conversion rate of leads calling you. 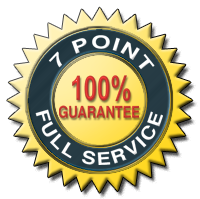 Don’t even think about using another webmaster if they don’t meet the 7 point full service website guarantee.